That reflects the success of the Five Plus One geopolitical project launched by the Obama Administration in 2015 and being continued by the Trump Administration, a project based on a program proposed by S. Frederick Starr, head of the Washington Institute for Central Asia and the Caucasus in 2005 (ng.ru/editorial/2018-08-30/2_7300_red.html). The goal of this project was to reorient cooperation between Central Asia and the outside world away from Russia and China and toward the United States and Europe, Nezavisimaya gazeta says. And the C5+1 format relies as well on increasing intra-regional cooperation with the US in the areas of economics, regional cooperation, environment and security. The successful visits to Washington by the presidents of Uzbekistan and Kazakhstan reflect how much progress has been made in this regard, the editors continue. And they stress that the other countries of the region are now following Tashkent and Astana in refocusing their attention away from Moscow and towards Washington. According to Bakhiyer Ergashev, head of the Tashkent Ma’no Research Center, Uzbekistan will likely be able to fulfill that role, at least in part because Washington and Kabul have blocked Moscow from doing so. Russia will still play some role but it will no longer be “the first violin” in this orchestra. 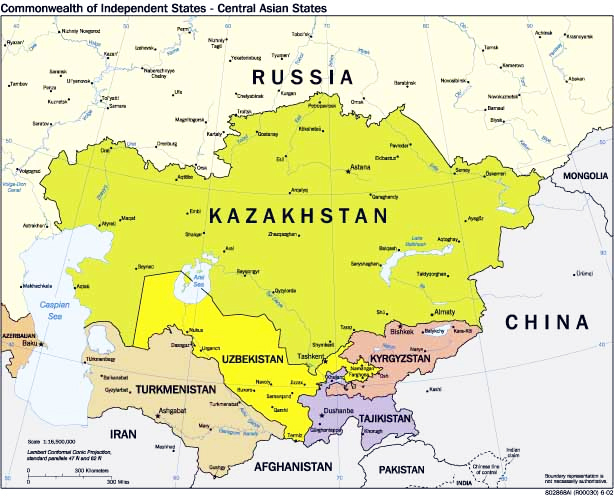 “Russia is losing the region to the US because Moscow has lacked a precise idea about the goals and means for their realization in the countries of Central Asia. Whether such an understanding of what Moscow wants in this part of the world today is unclear,” the paper continues.